Writing a number 6493 as six thousand four hundred and ninety three is known as spellout of that number. The most familiar example of this is in cheques. Text to speech systems also need to convert numbers to words. The reverse process of this, to convert a phrase like six thousand four hundred and ninety three to number 6493 – the number generation, is also common. In software, it is often required in Speech recognition and in general any kind of semantic analysis of text. Numbers and its conversion to English words is not really a complex problem to solve with a computer. But how about other languages? In this article, I am discussing the nature of these words in Malayalam and an approach to parse the number and numbers written in words. In Malayalam, the spellout of numbers forms a single word. For example, a number 108 is നൂറ്റെട്ട് – a single word. This word is formed by adjective form of നൂറ്(100) and എട്ട്(8). While these two words are glued, Malayalam phonological rules are also applied, resulting this single word നൂറ്റെട്ട്. This word formation characteristics are present for almost all possible numbers you can imagine. Parsing the number നൂറ്റെട്ട് and interpreting it as 108 or converting 108 to നൂറ്റെട്ട് is an interesting problem in Malayalam computing. I came across this problem while I was trying to develop a dictionary based spellchecker years back. Such a dictionary should have all these single words for all possible numbers, right? Then how big it will be? Later when I was researching on Malayalam morphology analyser, I again encountered this problem. You cannot have all these words in lexicon as entries – it is not practical. At the same time, you should be able to parse these words and and also generate with correct morpho-phonological rules of Malayalam. Like I mentioned in my introduction article of my Malayalam morphological analyser, project, Malayalam is a heavily agglutinative language. While I was learning the Finite transducer technology, Malayalam number words were one of the obvious candidates to try out. These numbers perfectly model Malayalam word formations. They get agglutinated and inflected, during which morpho-phonological rules get applied. നൂറ്റെട്ടിലായിരുന്നു, നൂറ്റെട്ടിനെ, നൂറ്റെട്ടോ? നൂറ്റെട്ടാം, നൂറ്റെട്ടാമത്തെ, നൂറ്റെട്ടര – All are examples of words you get on top number word നൂറ്റെട്ട്. Also, it is not two word agglutination, പതിനാറായിരത്തൊരുനൂറ്റെട്ട് – 16108 is an example where പതിനാറ്(16), ആയിരം(1000), നൂറ്(100), എട്ട്(8) – all joined to form a single word. In fact this is a common word you often see in literature because of this myth about Lord Krishna. The current year, 2017 is often written as രണ്ടായിരത്തിപ്പതിനേഴ്. Let us examine a nature of these word formation. Numbers between 0 and 9 has words as പൂജ്യം, ഒന്ന്, രണ്ട്, മൂന്ന്, നാല്, അഞ്ച്, ആറ്, ഏഴ്, എട്ട്, ഒമ്പത് respectively. The word ഒമ്പത് is sometimes written as ഒൻപത് too, which is phonetically similar to ഒമ്പത്. Each of these words ending with Virama(്) is sometimes written with Samvruthokaram too. ഒന്ന് – ഒന്നു്, രണ്ടു്, മൂന്നു്, നാലു് etc. Adjective form of [രണ്ട്|മൂന്ന്|നാല്|അഞ്ച്|ആറ്|ഏഴ്|എട്ട്] + പത്. So, they are ഇരുപത്(20), മുപ്പത്(30), നാല്പത്(40), അമ്പത്(50), അറുപത്(6), എഴുപത്(70), എൺപത്/എമ്പത്(80). But at 90, a new form emerges – തൊണ്ണൂറ് – Which has no root on ഒമ്പത് (9). Instead it is more like something before നൂറ്(100). The numbers 11-19 are unique words. പതിനൊന്ന്, പന്ത്രണ്ട്, പതിമൂന്ന്, പതിനാല്, പതിനഞ്ച്, പതിനാറ്, പതിനേഴ്, പതിനെട്ട്, പത്തൊമ്പത് respectively. So, 21 is ഇരുപത്(20)+ ഒന്ന്(1). But to form a single word, An adjective form is used, which is similar to female gender inflection of Malayalam nouns- ഇരുപത്തി + ഒന്ന് . Phonological rules should be applied to combine these two words. The vowel sign ി(i) at the end of ഇരുപത്തി will introduce a new consonant യ(ya). Also the first letter of ഒന്ന് – the vowel ഒ will change to its vowel sign form ൊ. So we get ഇരുപത്തി + യ + ൊന്ന്. It results ഇരുപത്തിയൊന്ന്. This phonological rule is actually Agama Sandhi / ആഗമ സന്ധി as per Malayalam grammer rules. But, ഇരുപത്തിയൊന്ന് has a more propular form, ഇരുപത്തൊന്ന് which is generated by dropping ി + യ from the generation process. The words for 20s can be generated similarly. ഇരുപത്തിരണ്ട്(22), ഇരുപത്തിമൂന്ന്(23), ഇരുപത്തിനാല്(24), ഇരുപത്തിയഞ്ച്/ഇരുപത്തഞ്ച്(25), ഇരുപത്തിയാറ്/ഇരുപത്താറ്(26), ഇരുപത്തിയേഴ്/ഇരുപത്തേഴ്(27), ഇരുപത്തിയെട്ട്/ഇരുപത്തെട്ട്(28), ഇരുപത്തിയൊമ്പത്/ഇരുപത്തൊമ്പത്(29). For all other two digit numbers the pattern is same. Note that തൊണ്ണൂറ് (90) has the prefix form തൊണ്ണൂറ്റി. So 98 is തൊണ്ണൂറ്റിയെട്ട്/തൊണ്ണൂറ്റെട്ട്. 100 is നൂറ്. Its prefix form is നൂറ്റി. Multiples of 100s is somewhat similar to multiples of 10s we saw above. They are ഇരുന്നൂറ്(200), മുന്നൂറ്(300), നാനൂറ്(400), അഞ്ഞൂറ്(500), ആറുനൂറ്(600), എഴുന്നൂറ്(700), എണ്ണൂറ്(800), തൊള്ളായിരം(900). Here also the 900 deviates from others. The word is related to 1000(ആയിരം) than 100 – Just like the case of 90-തൊണ്ണൂറ് we discussed above. Forming 3 digits numbers is, in general the prefix of multiple of hundred followed by Tens we explained above. So 623 is അറുനൂറ് + ഇരുപത്തിമൂന്ന് = അറുനൂറ്റിയിരുപത്തിമൂന്ന് or the more popular and short form അറുനൂറ്റിരുപത്തിമൂന്ന്. 817 is എണ്ണൂറ്റി+ പതിനേഴ് = എണ്ണൂറ്റിപ്പതിനേഴ് with gemination of consonant പ as per phonological rule. 999 is തൊള്ളായിരത്തിത്തൊണ്ണൂറ്റിയൊമ്പത് or തൊള്ളായിരത്തിത്തൊണ്ണൂറ്റൊമ്പത് or തൊള്ളായിരത്തിത്തൊണ്ണൂറ്റിയൊൻപത്. 1000 is ആയിരം. ആയിരത്തി is prefix for all other 4 digit numbers till 1 lakh(ലക്ഷം 100000). Multiples of 1000 can be generated by suffixing ആയിരം. For example, 4000 is നാല് + ആയിരം = നാലായിരം. 6000 – ആറായിരം. But 5000 is അയ്യായിരം, and അഞ്ചായിരം is less popular version. 8000 is എട്ട് + ആയിരം = എട്ടായിരം, but എണ്ണായിരം is popular form. 10000 is പത്ത് + ആയിരം = പത്തായിരം. But പതിനായിരം is the more familiar version. പതിനായിരം is the suffix for multiples of 10K. They are ഇരുപതിനായിരം, മുപ്പതിനായിരം, നാല്പതിനായിരം, അമ്പതിനായിരം, അറുപതിനായിരം, എഴുപതിനായിരം, എൺപതിനായിരം, തൊണ്ണൂറായിരം. 3000 is മുവ്വായിരം than മൂന്നായിരം. So 73000 is എഴുപത്തിമുവ്വായിരം or എഴുപത്തിമൂന്നായിരം. Numbers between 1000-1999 may optionally prefixed by ഒരു – Adjective form of ഒന്ന്(1). 1008 – ഒരായിരത്തിയെട്ട് 1122-ഒരായിരത്തിയൊരുന്നൂറ്റിയിരുപത്തിരണ്ട് etc. ആയിരം(1000) can be also ഒരായിരം. 100, 000 is ലക്ഷം. ലക്ഷത്തി is prefix. 1,00, 00, 000 is കോടി. കോടി itself is prefix. 12,00,90 is പന്ത്രണ്ടുലക്ഷത്തിത്തൊണ്ണൂറ്. 99,00,00,00,00,00,00 is തൊണ്ണൂറ്റൊമ്പതുലക്ഷംകോടി. From the above explanation of word formation for numbers in Malayalam, one can see that there are patterns and there are lot of exceptions. But still, isn’t it possible to write a generator using just a rule based program in a programming language. I would agree. Yes, it is possible. But other than mapping these numbers to word forms, handling exceptional rules, there are a few other things also we saw. When words are agglutinated, there are phonological rules in action. Also, I said that these words can be inflected again. We also want the bidirectional conversion – not just word generation, but converting those words back into a number. All these will make such a program so complicated and it has to duplicate so many things from morphology analyser. That is why I used morphology analyser here. If തൊള്ളായിരം is a morpheme, it means, it is in a lexicon. That makes all other 3 digit number also eligible to be listed as items in lexicon. So ultimately, we go back to the large lexicon/dictionary issue I mentioned in the beginning of the article. Semantically, any number spellout is originated from Ones and their place value. So തൊണ്ണൂറ് is 9<tens>. I have not seen any morphology analyser dealing with number spellout. It seems Malayalam numbers are so unique in this aspect. I read a few academic papers on dealing with this complexity using Rule based approaches(See References) and an automata like paradigm language(Richard Gillam – A Rule-Based Approach to Number Spellout). Introduce morphology tags for positional values. This is similar to POS tags, but here we apply for number spellouts. <ones>, <tens>, <hundreds>, <thousands>, <lakhs>, <crores> are those tags. Parse a spellout to reach the atomic morphemes in a number spellout – they are ഒന്ന്, രണ്ട്, മൂന്ന്, നാല്, അഞ്ച്, ആറ്, ഏഴ്,എട്ട്, ഒമ്പത്, പൂജ്യം. These morphemes will have the tags mentioned above. As you can observe, only the atomic numbers are used as morphemes and place values are indicated using tags. You can also see that the analysis is easy to interpret for a program to generate the number. The morphology analyser can easily generate the word രണ്ടായിരത്തിപ്പതിനേഴ് by applying all grammatical rules. See the Pen Malayalam number parser by Santhosh Thottingal (@santhoshtr) on CodePen. Some commonly used forms like മുപ്പത്തിമുക്കോടി is not supported yet.There are also variations like മുവ്വായിരം, മൂവായിരം. If there are are multiple ways to generate a number word, the system generates all such forms. But some of these forms may be very obscure and not used at all. There is a practice to insert space after some prefixes like ആയിരത്തി, ലക്ഷത്തി, കോടി. In the model I assumed the words are generated as single word. We analysed the word formation for the spellout of the numbers in Malayalam. Usage of morphology analyser for analysis and generation of these word forms are introduced. A demo program that converts numbers to its word forms considering all morphophonological rules are presented. Algorithm for spelled out word to number conversion is given with example. Programmable API and Web API is given for the system. Malayalam is a highly inflectional and agglutinative language. This has posed a challenge for all kind of language processing. Algorithmic interpretation of Malayalam’s words and their formation rules continues to be an untackled problem. My own attempts to study and try out some of these characteristics was big failure in the past. Back in 2007, when I tried to develop a spellchecker for Malayalam, the infinite number of words this language can have by combining multiple words together and those words inflected was a big challenge. The dictionary based spellechecker was a failed attempt. I had documented these issues. I was busy with my type design projects for last few years, but continued to search for the solution of this problem. Last year(2016), during Google summer of code mentor summit at Google campus, California, mentors working on language technology had a meeting and I explained this challenge. It was suggested that I need to look at Finnish, Turkish, German and such similarly inflected and agglutinated languages and their attempts to solve this. So, after the meeting, I started studying some of the projects – Omorfi for Finnish, SMOR for German, TRMorph for Turkish. All of them use Finite state transducer technology. I will document the system in details later. Currently it is progressing well. I was able to solve arbitrary level agglutination with inflection. Nominal inflection and Verbal inflections are being solved one by one. I will try to provide a rough high level outline of the system as below. Lexicon: This is a large collection of root words, collected and manually curated, classified into various part of speech categories. So the collection is seperated to nouns, verbs, conjunctions, interjections, loan words, adverbs, adjectives, question words, affirmatives, negations and so on. Nouns themselves are divided to pronouns, person names, place names, time names, language names and so on. Each of them get a unique tag and will appear when you analyse such words. Morphotactics: Morphology rules about agglutination and inflection. This includes agglutination rules based on Samasam(സമാസം) – accusative, vocative, nominative, genitive, dative, instrumental, locative and sociative. Also plural inflections, demonstratives(ചുട്ടെഴുത്തുകൾ) and indeclinables(അവ്യയങ്ങൾ). For verbs, all possible tense forms, converbs, adverbal particles, concessives(അനുവാദകങ്ങൾ) and so on. Phonological rules: This is done on top of the results from morphotactics. For example, from morphotactics, ആൽ<noun>, തറ<noun>, ഇൽ<locative> will give ആൽ<noun>തറ<noun>ഇൽ<locative>. But after the phonological treatment it becomes, ആൽത്തറയിൽ with consonant duplication after ൽ, and ഇ becomes യി. Automata definition for the above: This is where you say nouns can be concatenated any number of times, following optional inflection etc in regular expression like language. Programmable interface, web api, command line tools, web interface for demos. What it can do now? Following screenshot is from its web demo. You can see complex words get analysed to its stems, inflections, tense etc. Covering all possible word formation rules for Malayalam is an ambitious project, but let us see how much we can achieve. Now the effort is more on linguistic aspects of Malayalam than technical. I will update about the progress of the system here. Scribus now has support for Malayalam hyphenation. I filed a bug report to add Malayalam hyphenation rules to Scribus and it is now added to scribus. The hyphenation rules are based on the TeX hyphenation patterns I wrote. Start a new document. Add text frames and content. You will need narrow columns to have wordbreaking contexts. For example 2 columns as I use for demo here. Select the text and set font as a Malayalam font like Manjari, Set the language as Malayalam. TruFont the font-editing application written with Python3, ufoLib, defcon and PyQt5 now has support for pasting SVG images as glyphs. It now also support drag and dropping SVG files. For my font design workflow I mainly use Inkscape to desgin master drawings and then use fonteditor for further editing. I am migrating the fonts we maintained to Trufont from Fontforge(It is no longer developed). But, not having SVG support with Trufont was a blocker for me. 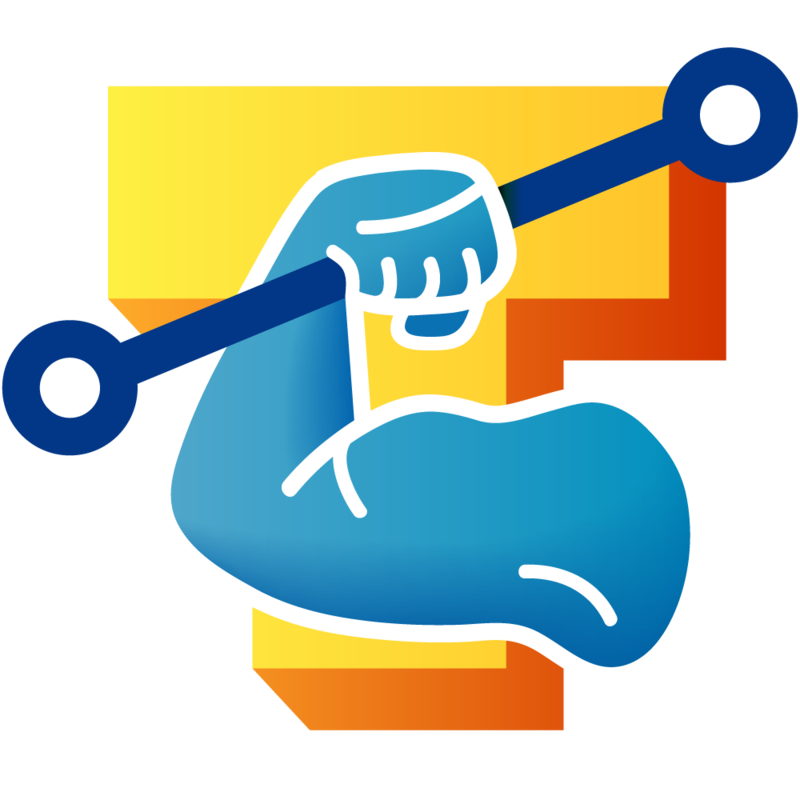 So today I filed two patches and got merged to Trufont master. There are still some known issues. Mainly the pasted svg is vertically flipped. The editor can flip it again. But the original issue need investigation. I had developed and released hyphenation extension for Malayalam in Openoffice years back. Libreoffice was born later. Eventhough libreoffice supported the openoffice extensions, the extension repository is freshly created for libreoffice. The old extensions were not present in the libreoffice repository. In LibreOffice, select Tools -> Extension Manager from the menu bar. A file browser window opens. Navigate to the folder where you saved the LibreOffice extension file(s) on your system. The extension’s files have the file extension ‘OXT’. If this extension is already installed, you’ll be prompted to press OK to confirm whether to overwrite the current version by the new one, or press Cancel to stop the installation. After you are asked whether to install the extension only for your user or for all users. If you choose the Only for me option, the extension will be installed only for your user. If you choose For all users, you need system administrator rights. In this case the extension will be available for all users. In general, choose Only for me, that doesn’t require administration rights on the operating system. The above steps works for Debian and Ubuntu too. But there is a better way. Using your package manager install hyphen-ml package. This will install hyphenation not only for libreoffice, but for typesetting packages like LaTeX. To automatically hyphenate the current or selected paragraphs, choose Format – Paragraph, and then click the Text Flow tab. To manually Hyphenate Single Words, click in the word where you want to add the hyphen, and then press Ctrl+Hyphen(-). To manually Hyphenate Text in a Selection Select the text that you want to hyphenate. Choose Tools – Language – Hyphenation. Malayalam and several other languages does not use visible hypen(-) at the end of line when a word is broken. Currently there is no way to control this in libreoffice. I had developed hyphenation patterns for 10 other Indian languages too. Yet to upload them to libreoffice repository. But they are readily available in Debian and Ubuntu. You can install them by choosing hyphen-* package. The hyphenation rules for Indian languages I maintain now relicensed to much permissive MIT license. This was a blocker for to get added to Android, and Firefox.